Would you like to CC the exact MLM marketing strategies of the top 1% producers in multi level marketing companies? The first thing to note on this list of criteria is that they don’t chase prospects. They don’t do it in real life. They don’t spam people on social media either. Just a few days ago, I got this message in my Facebook messenger from a complete stranger. Yes, she is a friend on Facebook but there is a difference between a real and a Facebook friend. Sure, if she spammed people enough, some one may end up joining her deal out of luck. If you knock on doors long enough someone may join as well. However, efficiency has a big question mark on it. Who wants to build a million business on luck? Most MLM plans requires the entrepreneurial mindset in order to perform at the top 1% level. It’s all about leverage and massive distribution of the product and services. The first 3 steps is to simply identify your 3 P’s as Marcus of CNBC show the profit would put it. 1. What is the PRODUCT you are distributing? 2. Who are the PEOPLE who are most likely to want your product? These people are already right now LIVE on Google searching for your products directly or indirectly. Some are searching, some are struggling with something similar and some are not looking at all. Most of those who are not looking at all are your family and friends. Yet, most people spend their energy chasing people are not interested while Google is processing 40 million searched every second. Again, this conversation is about efficiency. 3. What PROCESS are you going to use to get the product to the people? Clearly this MLM network marketing company have chosen you to figure the PROCESS out. The next 4 steps I share with you will help break down the best process in 3 steps that are optimized and leveraged for fast and maximum performance. Worrying about which network marketing company is the best is a complete waster of time. However, chosen to distribute a product you are passionate about has a lot of advantages. 4. 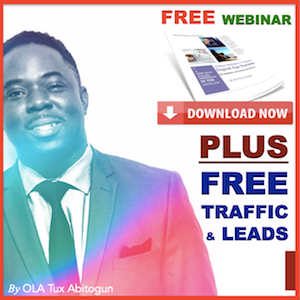 The best process for mlm marketing starts with CREATING free and valuable online content that answers commonly asked questions and solve problems for your ideal prospect. Choosing to operate online or offline is no more a choice. Everyone carries a smart phone and Google search everything. The secret is not about a multi level marketing software that does all the work for you. It’s about the digital lifestyle that we all live now either it’s realized or not. It’s a systemic epidemics. 5. CAPTURE the audience’s attention and contact information and build a community. Most people wait for an MLM company to give them a stage. The internet is already your stage and if you step up and become a leader without asking for permission, YOU WIN. That lady who spammed me asked if I had listened to the call and what I thought. So I thought I’d have some fun with it. I asked her. “Is this one of those pyramid schemes?” When you learn digital MLM marketing secrets, you will attract enough quality leads and never have to answer that ever again.